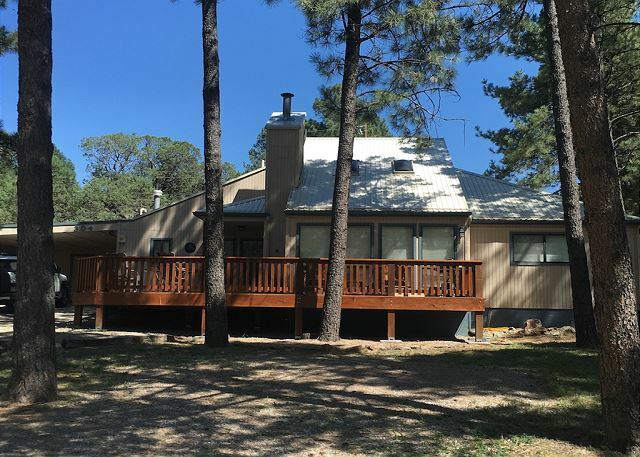 Casa Bella is a wonderful 3 bedroom, 3 bath home surrounded with tall pines and a gorgeous redwood deck. 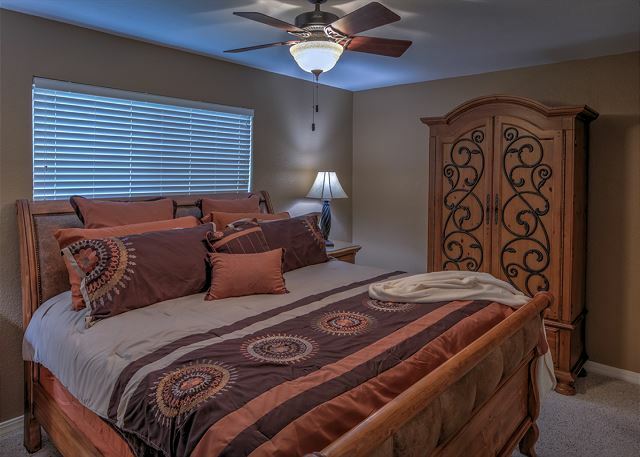 There are two king beds & a queen bed in this home. 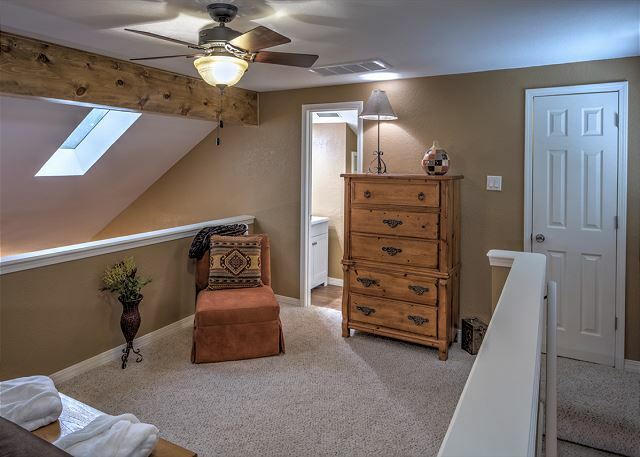 One king bed in the master bedroom and 1 in the loft. 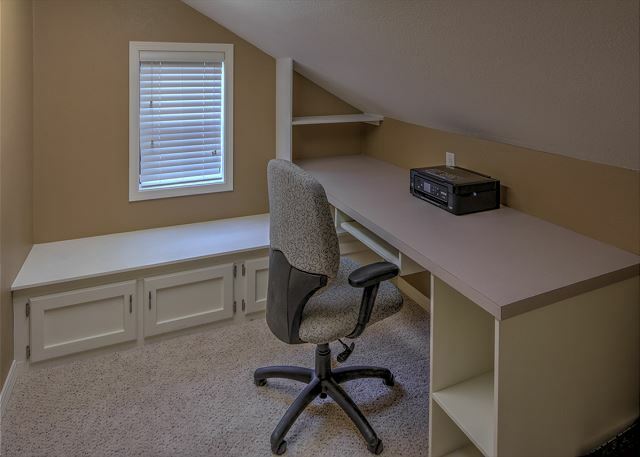 Also in the loft you will find a small office with a wireless printer and in the bedroom area a chair that converts to a twin bed for one of the kiddos! 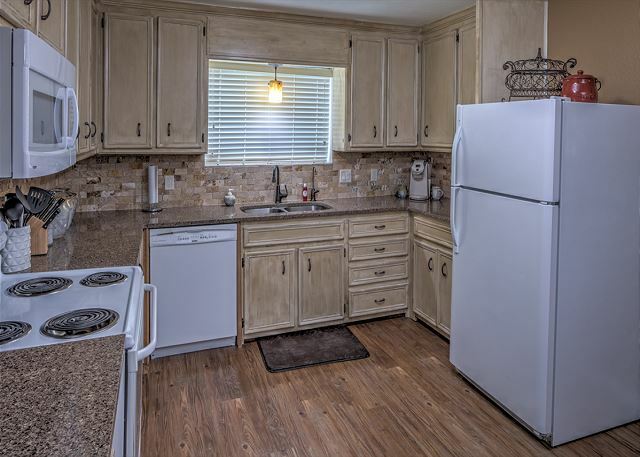 This great house has plenty of room for the whole family! 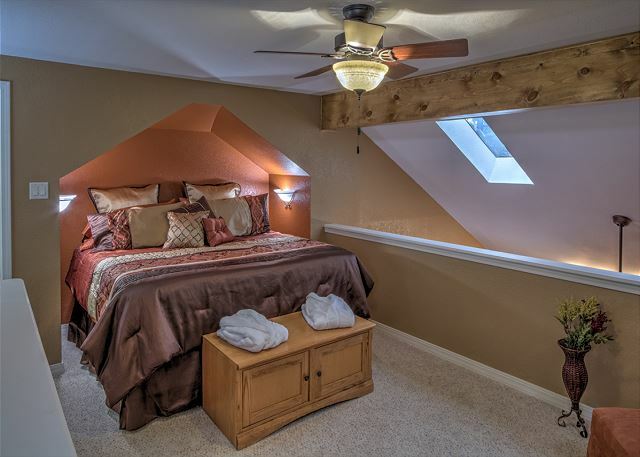 Luxurious beds, cozy gas fireplace and wonderful private hot tub await your pleasure! 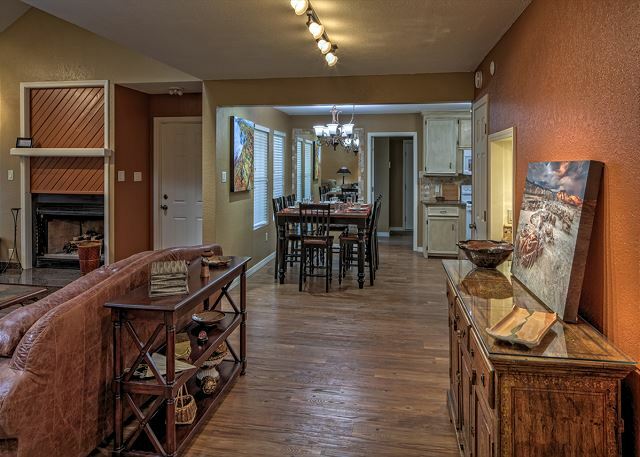 Great fully equipped kitchen and roomy dining and living room make entertaining fun! 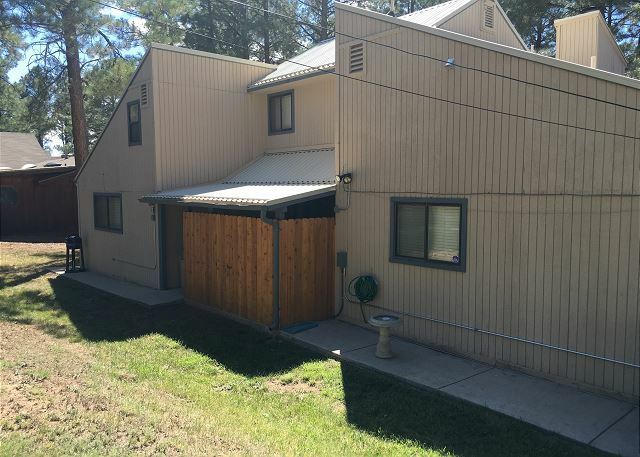 Year-round easy access and a covered carport for your car! There is enough parking for 5 vehicles! This retreat is great for couples or families! My family and I had an amazing experience. The cabin was exceptionally perfect for us. The attention to detail was point on. The cabin was cozy yet big enough for us. It was clean and inciting. It was beautifully decorated. The kids really enjoyed the hot chocolate they made with the chocolate spoons and the fruit infused water was refreshing. We all had a blast playing in the snow. Thank you all for a wonderful experience. We will definitely be back in the near future. House was perfect, will definitely be coming back. Loved the house, I would inform people there are no TV’s in any of the bedrooms, not a complaint just a suggestion. We went for with friends for a weekend getaway. This place was great. Not too close to town but not to far either. Property was beautiful. The house was very clean and upon arrival there was a fruit and cheese tray waiting for us. 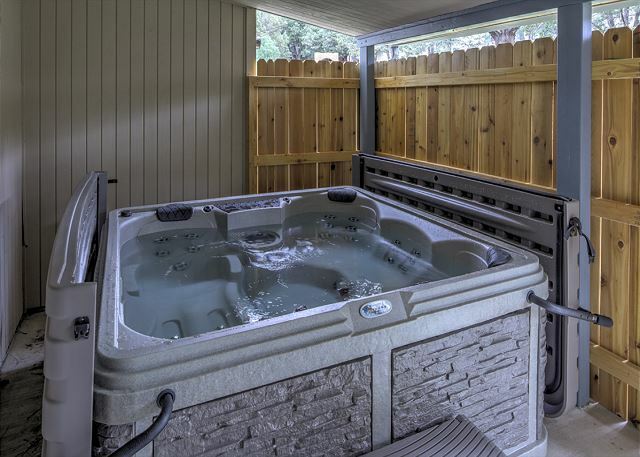 The house has a very nice deck on the front and a private hot tub in the back. Although we couldn’t get the fireplace to work we still had a great time and can’t wait to go back. I would definitely recommend this property. We had an excellent time!! The cabin was much more than we expected, you really go above and beyond to treat your guests! We will definitely be back, and recommend 2 Ruidoso Redheads to everyone we know!! We had an awesome stay. Everything was so perfect. It was very clean and homely. The kids enjoyed coloring and playing game's while the adults enjoyed ourselves outside on the deck. We made some good memories. All while getting away from the daily routine. We will definitely rent again. Hopefully soon!! Thank you for an amazing weekend. We loved our stay at Casa Bella! The extra touches such as the fruit and cheese platter, bag of ice, makeup remover, and robes were wonderful. The house was very clean and the decor was beautiful! Nothing negative to say. Everything was perfect. The cabin itself was very clean and new. We love the service as well. Will be back!! place was amazing!!! Would use over and over again! That is what we love to hear! We are so glad you enjoyed your stay with us and that everything was to your liking! Please tell your family and friends about us and we will look forward to serving you again soon!! Place was clean, very well maintained, everything you need is there which made us feel like we were home. Location was perfect for going to where we wanted. Area was quiet, we enjoyed sitting outside on the big porch. Our whole family enjoyed being there, everyone felt relaxed. We will be using them again. 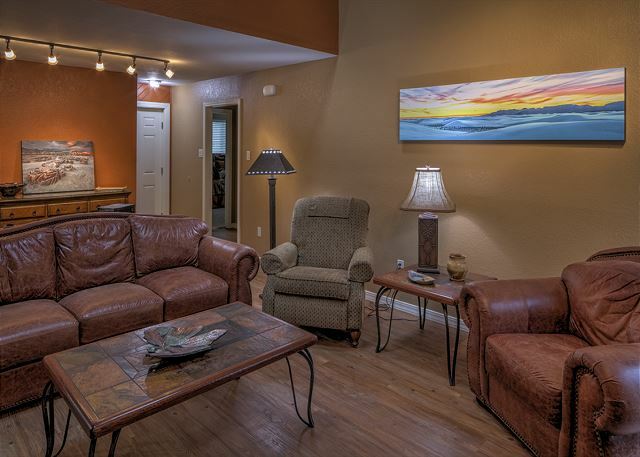 We are so glad you were able to relax and enjoy Casa Bella!! 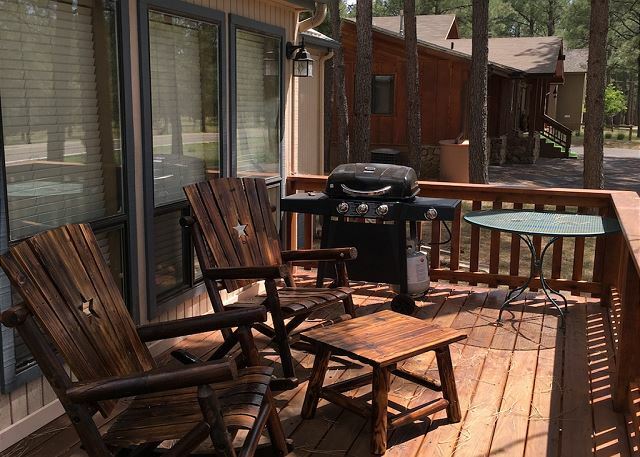 We try to provide everything you could possibly need when you stay with 2 Ruidoso Redhead because our goal is that you truly are able to relax and unwind with your family and friends! Thank you for choosing us and we look forward to serving you again in the future! Ski trip with the family. Seven of us. 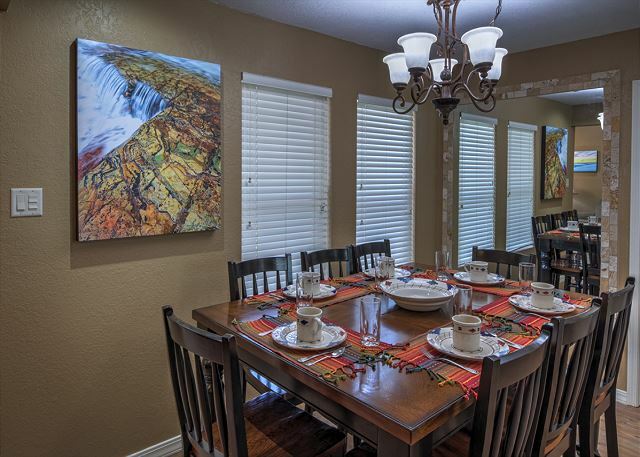 Great house- tastefully decorated and roomy. Enjoyed the hot tub after each day of skiing. Cooked each night. This house had everything to suit us. Highly recommended..
We are so glad you enjoyed your stay with us! The hot tub is always a wonderful thing to come back to isn't it? We will certainly be looking forward to serving you again in the future!!! Excellent choice without planning ahead. Even if I had planned ahead I would still choose this great property. Wow.........come and enjoy! Thank you for choosing 2 Ruidoso Redheads for your last minute trip! We are so glad you enjoyed your stay and we certainly hope to see you again soon! 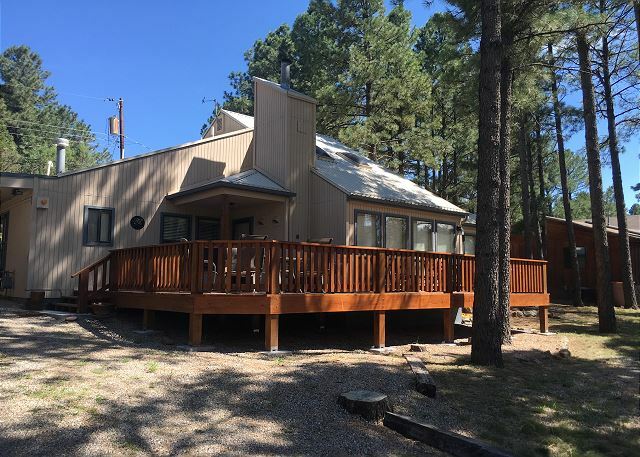 Just minutes away from enterntaiment and restaurants- the location was perfect - surrounded by other beautiful cabins and pine trees that go on forever - this home couldn't be more perfect! When we arrived - the lights, the heater, and hot tub were on- which was very welcoming ! The home had kitchenware , utensils, plates which was very convenient ! 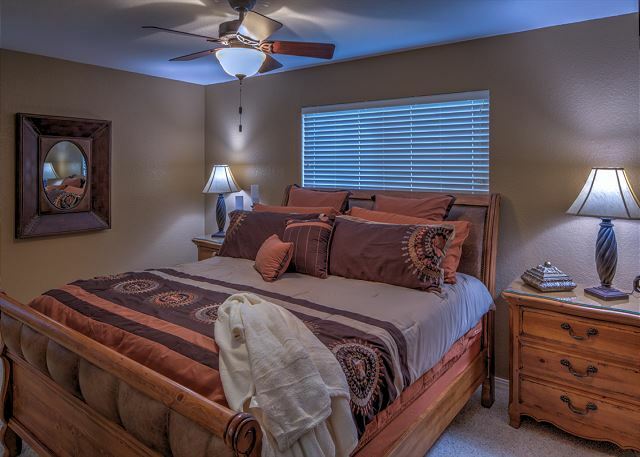 The home was very spacious and the furniture and beds were extremely comfortable and clean. Trina was very personable and went above and beyond to make us feel at ease- I couldn't of asked for a better experience! We will definitely be back! Thank for so much for the wonderful review! What we love most is making our guests feel special and right at home! 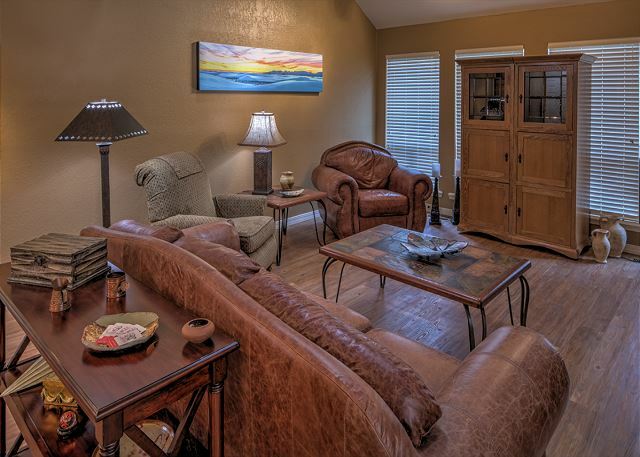 We are so glad that you had a wonderful and relaxing stay at Casa Bella. We certainly look forward to serving you again in the near future!!!! Wonderful home was everything advertised. We are glad that you enjoyed your getaway in our Casa Bella property! 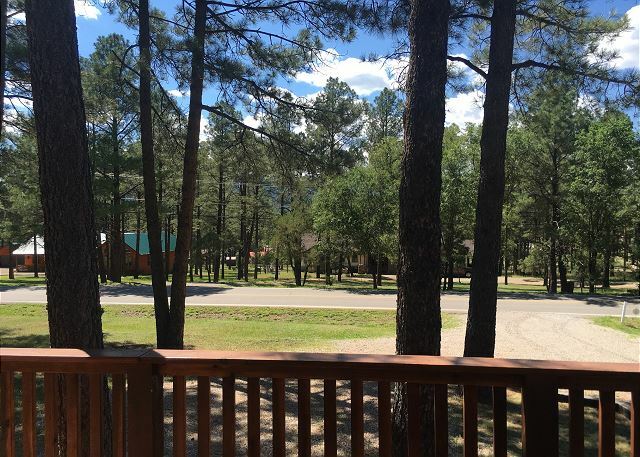 We hope that you choose to stay with 2 Ruidoso Redheads in the future and look forward to serving again. Always glad to serve and have you here. Hope to see you again soon!! Everything about this rental was nothing less than exquisite! House was spotless and amenities were great. We will definitely be staying here again! Thank you so much for staying with us! 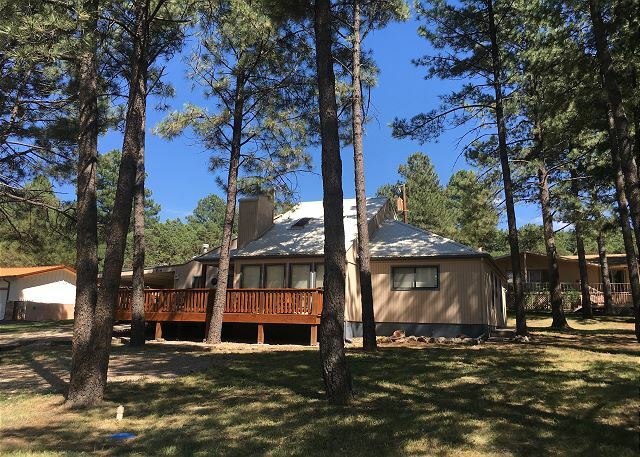 We are glad that you enjoyed your stay and we certainly enjoy making your stay here in Ruidoso a wonderful and stress-free escape! We look forward to seeing you again soon! Thank you for your review. We are so glad you enjoyed your stay with us! We certainly hope you will tell your friends about 2 Ruidoso Redheads and we look forward to serving you in the future!